Look no farther than your bathroom for great supplies to make these recycled planters . 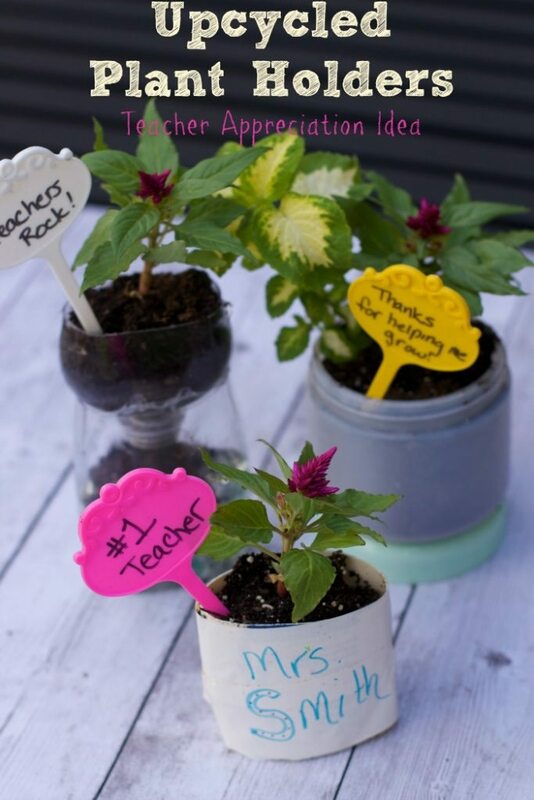 They are a great craft idea for the kids to give as teacher appreciation gifts next month. 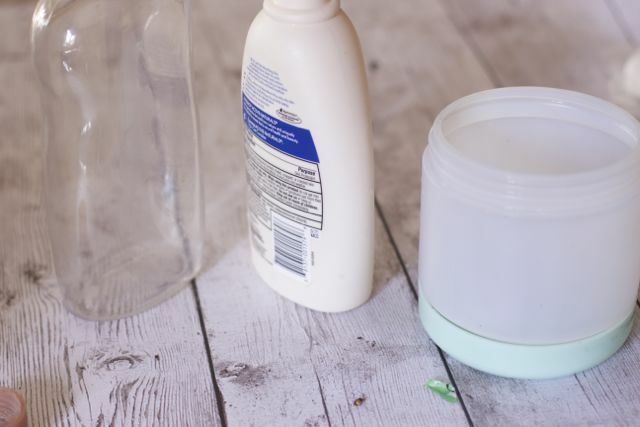 We all use so many products in our bathroom, and I know my husband just throws the empty bottles in our bathroom trash can instead of bringing them downstairs to be recycled. 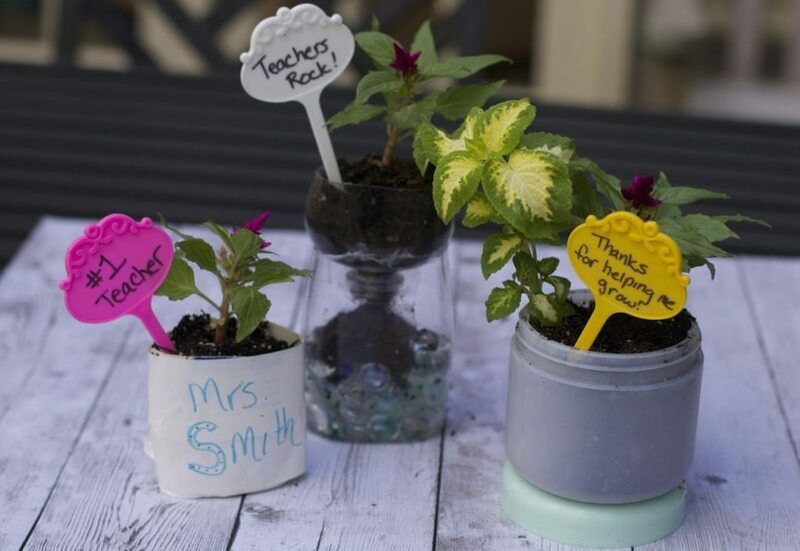 Earth Day is April 24th, so think about saving some of those bottles of lotion, make up remover containers etc and create these fun and super easy plant holders. 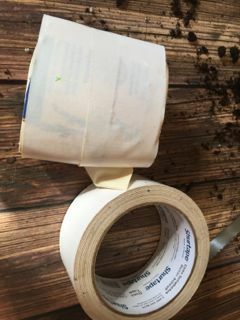 The only cost you have is the dirt, plant and the colored garden tags. Of course you can always make tags out of old cardboard or used wine corks. There is no reason to throw perfectly good containers in the garbage when you can recycle them into wonderful mothers day gifts gifts too. 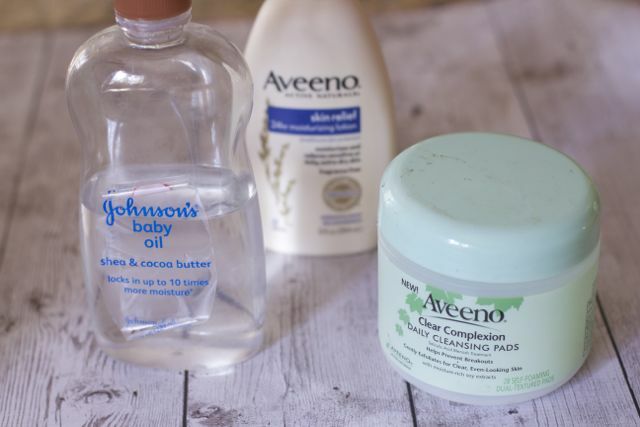 Start with empty bottles of beauty products found in your bathroom. I was surprised to see how many great containers I had under my sink that I could use in this project for recycled planters. 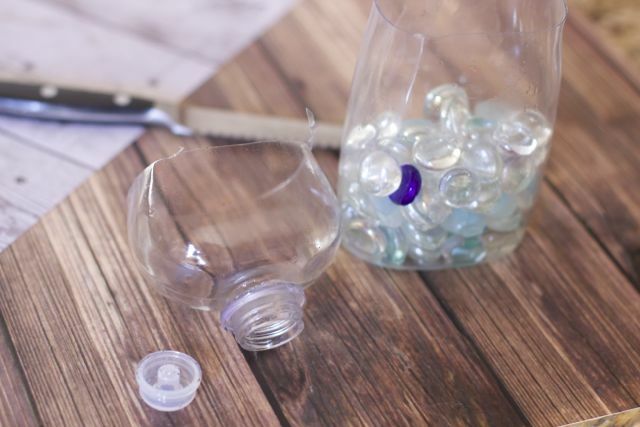 For the jar shape, we glued the top to the bottom of the jar for a fun splash of color. Added our dirt and plant for a great gift idea. You could always use a sharpie to decorate to pot, but simple is nice too. For the containers with the pumps or smaller openings, we cut about 1/4 off the top, added clear glass beads to the bottom. Then glued the top to the bottom and added a plant for a way to see the roots grow into the bottom. A great science experiment of the kids. For the bottles we could not easily take the labels off, we simply recycled the pump, cut the bottle in half and covered it with duck tape. 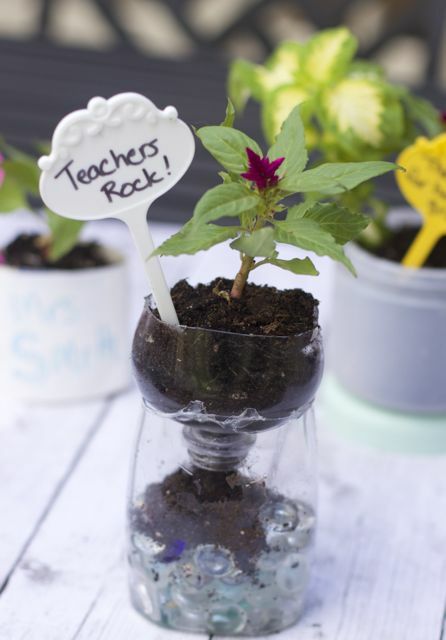 Then add your soil and plant for a personalized teacher appreciation gift. You can still recycle the top that you cut off. Johnson & Johnson Consumer Inc created the Care To Recycle® program as a gentle reminder to recycle your personal care items in the bathroom. I dare you to look under your cabinets and in your showers for all the potential items you can turn into something else and not fill the landfills. Care To Recycle®, a program of Johnson & Johnson Consumer Inc., provides creative new ways for parents to reimagine their recycling habits beyond the kitchen and into the bathroom, while engaging their children. You can’t tell me your kids won’t totally enjoy making these personalized gifts for their teachers, grandparents or even for Mother’s Day. When the plants grow too large for these containers you can then recycle the containers in your regular recycling bins. Be sure to check out our milk carton Earth Day idea too. What is your favorite way to recycle items in your bathroom? 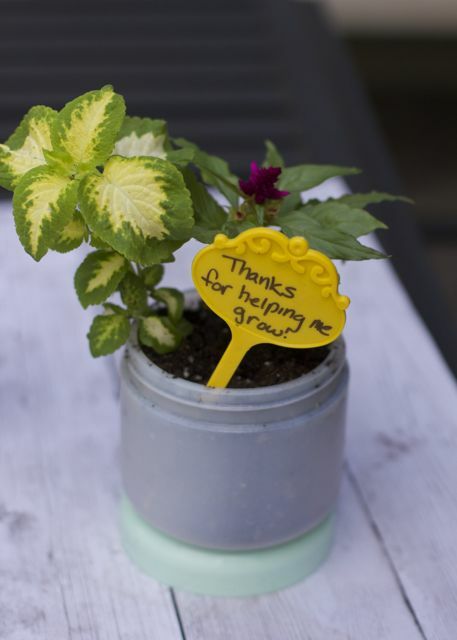 Who would you give one of these recycled planters to? I love this idea!! 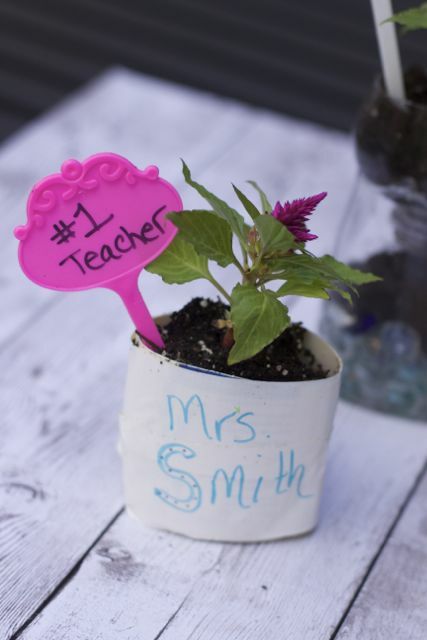 I am totally making a few planters with the kids for their teachers! I love these teacher gifts. They are a great way to say thank you to those that help mold the minds of our children. Love to see your planters too. Great ideas! I love re-purposing things like this, especially when they can be shared with others! This is so creative and great. Recyclable materials can really make nice things! These are so darling. I love that you up-cycled stuff that pretty much anyone already has. So useful. What a cute idea!!! I think we are going to make these as end of the year gifts! These are so creative! Will have to make one for my son’s teacher. My daughter’s preschool teacher just did a project in their class very similar to this to teach about recycling for earth day. Such cute ideas.